Everybody in this world longs for and strives hard to become rich and lead a comfortable life, but this is regulated by his prarabdha (result of Karma (actions) in previous births). This truth becomes self-evident from the fact that all the children of a couple do not enjoy identical wealth and success in life. The nature and extent of an individual's prarabdha is clearly discernible from the location of planets in his horoscope. meaning, "Nakshatras and planets only indicate good and bad results of one's karma in previous birth. O Devi ! they do not do any good or bad by themselves." 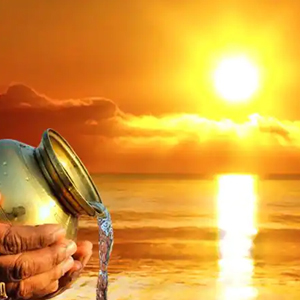 meaning, "The result of punya and papa earned through karma in the previous birth is experienced during the dasa- Bhukti of planets in this birth." meaning, "The more auspicious the rising sign is at a person's birth the longer will he live; the more will he command the respect of the rulers and the happier in consequence will he be. And if the rising sign be also aspected by its lord, the individual will be a master of riches, quite a genius, and a great credit to his family." The 2nd house is called, 'Dhana Bhava' and indicates dhana (wealth), savings, speech, education, etc. The 11th house is called' Labh bhava' and indicates gains and wealth, among other significations. The Kendras are called Vishnu Sthan (house of happiness) and Trikonas are called Lakshmi Sthan (houses of wealth). The lagna is both a Kendra and Trikona. Jupiter is Karka for wealth, followed by Venus. Their location in 2nd or 11th house, in Kendra or Trikona, makes the native very rich. The conjunction or mutual aspect of Jupiter-Mars, Jupiter-Mercury and Mars-Moon therein also gives much wealth to the native, provided these are not simultaneously the lord of the 6th, 8th or 12th house. A wealth giving dhana yoga is formed when two or more lords of Lagna, 2nd and 11th house conjoin in any of these three houses, in Kendra or Trikona or exchange houses. If dhana-karka Jupiter also joins the configuration, then the native becomes very wealthy. When dhana yoga occurs in trik(6th, 8th or 12th) house its strenth to confer wealth is greatly reduced. The combination of the lords of 2nd, 11th and lagna, in Kendra or Trikona, or 2nd or 11th house gives huge wealth. When Lords of Kendra and Trikona combine with the lord of 2nd house and are placed in a Trikona or Kendra, or in 2nd or 11th house, the native is very rich. The combination of the lord of a Kendra with the lord of a Trikona indicates good fortune. Similar is the result when there is exchange of houses between the lords of Kendra and Trikona. A planet which is simultaneously lord of a Kendra and a Trikona becomes a Yogakarka for the horoscope. Its association with the lord of 2nd or 11th house gives much wealth and honour. The association of Jupiter, Venus and mercury in the 2nd or 11th house, or with their lords, indicates much wealth, through fair and honest means. 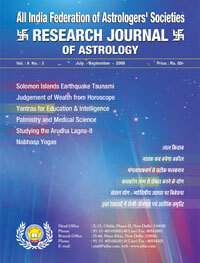 The combination of Moon and mars, if they are not lord of 6th, 8th or 12th house, also gives much wealth. The exchange of houses between the lords of 2nd and the 8th house gives unearned wealth through lottery, legacy, etc. Saturn and Rahu also give wealth. Their association with the 2nd or 11th house or their lords, indicates success and wealth through secret deals. Saturn gives slow and steady growth, while Rahu produces sudden and unexpected gain. The lords of Trik houses (6th, 8th and 12th) jointly or separately placed in these houses, unaspected by any other planet, create vipreet Rajyoga, and give much wealth and success to the native in their dasa-bhukti. When all the benefics (Jupiter, Venus and Mercury) are in Upachaya houses(3,6,10 and 11) from Lagna, the native becomes highly rich at a young age. If these benefics are in Upachaya house from the Moon, then also the native is very wealthy. When two benefics are in Upchaya house the native has good wealth. If only one benefic is there, then the native has average wealth. The native makes fortune by his own effort when the Lagna lord combines with the lord of 2nd house in Lagna or in 2nd house. If the lord of the 8th house combines with the lord of 2nd house in Lagna, one gets wealth through legacy, gupta dhana (hidden treasure), lottery, etc. 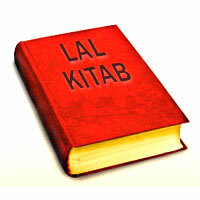 The same result follows if the lord of 8th and 2nd house aspect Lagna or its lord. When the lord of Lagna and the 2nd house are posited in 3rd house, or associated with the lord of 3rd house or mars (karka for brother), the native gets wealth from his brother. If the lord of the 2nd house occupies the 4th house with the lord of the 4th house, or the Moon (Karka for mother) , or the lord of the 4th house is posited in Lagna in association with the lord of the 2nd house, one gets wealth and property from mother. Similarly, gain of wealth from other individuals may be anticipated when such combinations occur involving that person's house or its karka. In most horoscopes only weak or afflicted dhana yogas are found due to which the native experiences fluctuating fortunes in his life. In the horoscopes of wealthy persons we find strong and unafflicted dhana yogas. The dasa of dhana yoga forming planets also run one after another. This is borne out by the following horoscopes of wealthy individuals which contain many strong Dhana and Raja Yogas. Lord of 9th Jupiter exalted in Lagna causes Hansa Yoga. It is conjoined with 4th and 11th lord Venus, which shows a prosperous birth. Lagna lord Moon is in 2nd house, 2nd lord Sun is in 11th house, 11th lord Venus is in Lagna, lord of 9th Jupiter is exalted in lagna with 11th lord Venus and create excellent dhana yoga. All the planets are located consecutively from 9th onwards thereby creating Bhagya Malika Yoga, denoting very rich, mighty and religious person. Lord of 5th and 10th house mars becomes a Yogakaraka for Cancer Lagna. Its location in 3rd (Upachaya) house gives initiative and drive, and its aspect on 9th and 10th house augura well. Due to the demise of his father in 1995, the native inherited Aditya Birla Industrial Empire. At that time the native was 28 years (the year of mars). The yogakarka Mars dasa has started in April, 2004 and will prove lucky to him and bring further prosperity. However, Sadesati started in September, 2004 will also cause some irritating problems. Lagna lord Mars is exalted in 10th house creating Ruchika and Kuldeepak Yoga. Mars is conjoined with mercury (lord of two upachaya houses) which gives the native capability to work intelligently with full confidence to achieve his goal. Rahu in Lagna in Aries gives shrewed and impressive personality. The 10th and 11th lord Saturn is posited in 9th house, and 9th lord Jupiter by its aspect on 10th house crowns native's efforts with success. Jupiter in 2nd house and Moon in 11th house create benefic Gajkesari Yoga. Lord of 2nd in 11th, lord of 11th in 9th, and lord of 9th in 2nd house from strong Dhana Yoga. Lord of 2nd, 4th, 5th and 7th house are posited in 11th house and are aspected by the 10th and 11th lord Saturn posited in 9th house, thereby increasing his prosperity. His Venus dasa started in March, 1985, and gave him much prosperity. However, being lord of 2nd and 7th(Marka) houses, the native also suffered serious health problems. From March, 2005 started the 5th lord Sun dasa which is posited in 11th house and would add to his name, fame and prosperity. He is the Chief of Microsoft Corpn., USA, and one of the richest persons in the world at present. Lagna lord mercury is exalted in 4th house causing Bhadra Yoga. Mercury is conjoined with 11th lord Mars and both aspect Pakshabali 2nd house lord Moon posited in 10th house. Swakshetri 5th house lord Venus along with exalted 9th lord Saturn aspect 11th house. In addition, Jupiter, Mars and Sun also aspect 11th house. Thus five planets are aspecting 11th house (gain). There is also an excellent Chandradhi yoga created by Jupiter in 6th house, Mercury in 7th house and Venus in 8th house from Moon. These are powerful Dhan yogas. His Venus dasa lasted from January, 1983 to January, 2003 and made him the richest computer magnate of the world.